Join some of the Vale Cru members, Wistmosa, Dabblebrook, Lazy Ballerina, Waywood and Rusty Mutt (of course!) for lunch at the National Wine Centre. It will be quite a unique experience. 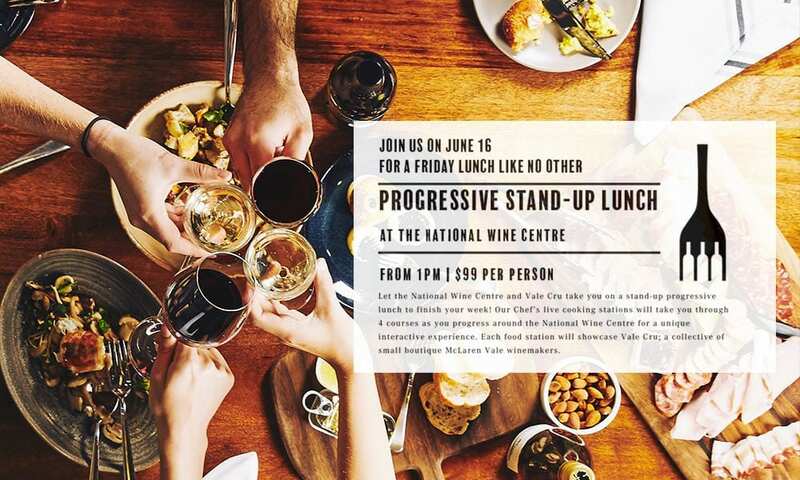 A four station, standup progressive lunch with food at each station matched with two Vale Cru wines! Sounds great, I’m glad I’ll be there! This event is over. Check the Wine Centre website for their next event. You can also check our event page to see if there’s a tasting coming up near you.